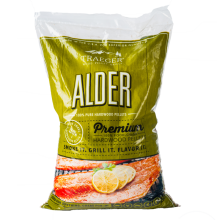 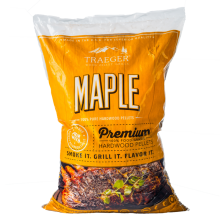 Traeger Alder Pellets 20lbs (9kg)Really great with fish as the mild flavour compliments delicate fla..
Traeger Apple Pellets 20lbs (9kg)Apple hardwood is light and sweet which is most often used with pou..
Traeger Cherry Pellets 20lbs (9kg)These pellets pack a lot of hearty smokey flavours and go very wel..
Traeger Hickory Pellets 20lbs (9kg)The most popular flavour used in barbecue, hickory is world rekno..
Traeger Maple Hardwood Pellets 20lbs (9kg)Fantastic with pork and veggies. 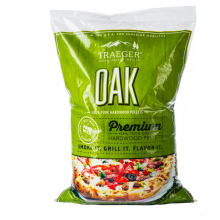 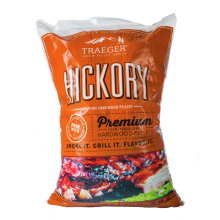 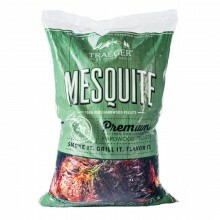 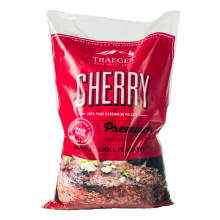 They hold a mild flavour ..
Traeger Mesquite Pellets 20lbs (9kg)A robust smokey flavour often used as the great smoke from the S..
Traeger Oak Pellets 20lbs (9kg)A great flavour to use with Fish, Beef or Broth. 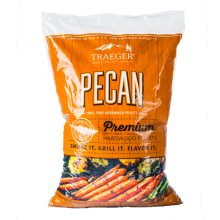 The flavour is stron..
Traeger Pecan Pellets 20lbs (9kg)These nutty Pecan 100% Natural Pecan Pellets are great with veg, be..
Traeger 'Que BBQ Sauce - 16ozBrown Sugar and smokey hickory combine with vinegar for a sauce to beho..
Traeger Apricot BBQ Sauce - 16ozTangy and sweet which is ideal with pork and is a great alternative ..
Traeger SIgnature BBQ Sauce - 16ozGoes perfectly with Chicken and Beef.473ml Glass BottleMade in USA..
Traeger Sugar Lips Glaze BBQ Sauce - 16ozMade to make your mouth water. 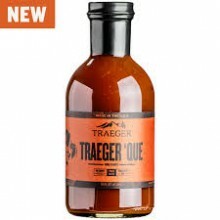 Compliments Chicken like no ..
Traeger - BBQ Sauce - Sweet & Heat 16ozSweet molasses and apricot combine with peppery heat for ..
Traeger Texas Spicy BBQ Sauce - 16ozBring your chicken wings to the next level with this tasty and s..
Traeger Beef Rub - 8.25ozBrown sugar and chilli pepper meets beef in this simple but so effective me..
Traeger Chicken Rub - 8.25ozFantastic with the Sugar Lips Glaze to give another side to grilling chi..
Give your dishes that extra kick with this rich coffee flavour rub. 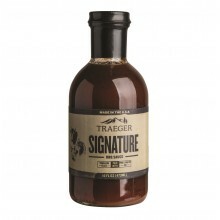 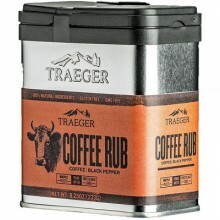 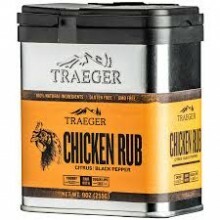 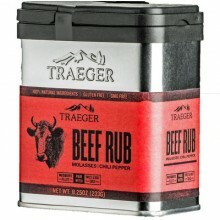 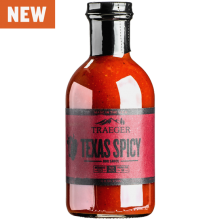 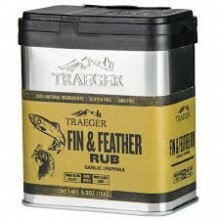 Perfect with Maple Hardwood Pell..
Traeger Fin and Feather Rub - 5.5ozPairs perfectly with Fish or Poultry. 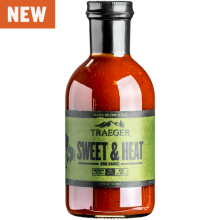 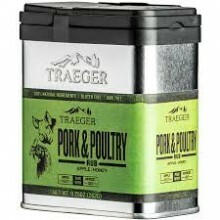 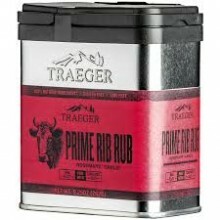 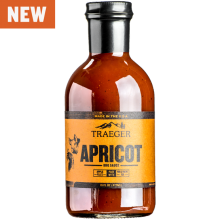 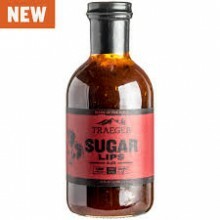 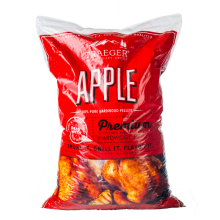 Pair with Sweet and Heat Sa..
Traeger Pork and Poultry Rub - 9.25ozApple and Honey come together in a meeting of flavours to creat..
Traeger Prime Rib Rub - 9.25ozVersatile and can be used with all beef dishes to give them that extra..
Traeger's Rub - 9ozThe name brand's rub is ready for all occasions. 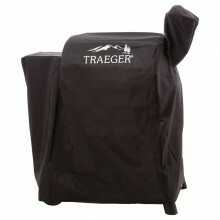 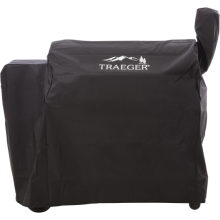 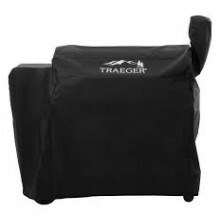 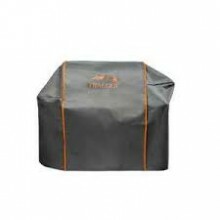 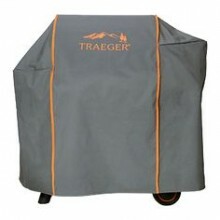 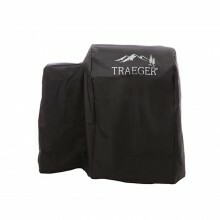 A mixture of garlic and pepper w..
Traeger Grill Cover - 20 SeriesSuitable for the 20 series grillsHeavy Duty, all weather meterial.Dim..
Traeger Grill Cover - 22 SeriesSuitable for 22 Series GrillsHeavy Duty, all weather material.Deliver..
Traeger Grill Cover - 34 SeriesSuitable for use with the 34 Series Grills.Heavy Duty, all weather ma..
Traeger Ironwood Cover - 665Suitable for Ironwood Grills - 665Heavy Duty, all weather material.Deliv..
Traeger Ironwood Cover - 885Suitable for Ironwood Grills - 885Heavy Duty, all weather material.Deliv..
Traeger Grill Cover - Pro 575 D2Keep your grill clean, dry, and protected with the Traeger all-weath..
Traeger Grill Cover - Pro 780 D2Keep your grill clean, dry, and protected with the Traeger all-weath..
Traeger Grill Cover - RangerKeep your grill clean, dry, and protected with the Traeger all-weather c..
Traeger Timberline 1300 Grill CoverSuitable for the Timberline 1300 Grill.Heavy Duty, all weather ma..
Traeger Timberline 850 Grill CoverSuitable for the Traeger TImberline 850 Grill.Heavy Duty, all weat..
Traeger Cast Iron Reversible GriddleTake your grilling to the next level with the double sided, pre-.. 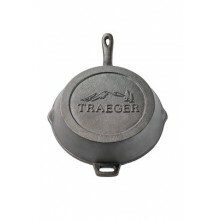 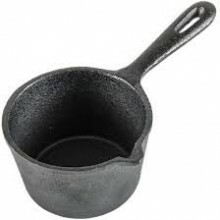 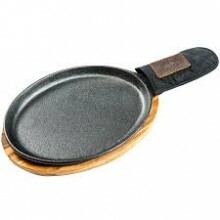 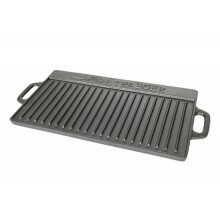 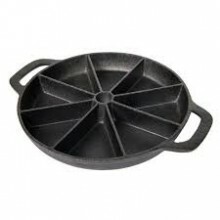 This is the Heavy Duty Cast Iron Skillet from Traeger and excellent for cooking breakfast. 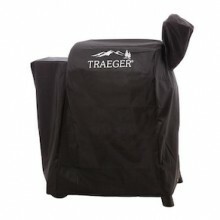 This pre-..
Traeger Chicken Leg and Wing RackThe best quality chicken is more often than not directly off the gr..
Traeger Chicken ThroneTraeger does BBQ like no one else and with this porcelain chicken throne roast..
Traeger Flexible Skewer SetFlexible stainless steel construction that is much more versatile than st..
Traeger Pizza Grill KitPlace the stone on the grill while it heats up, create your perfect pizza in ..
Traeger Rib RackMade of nickel plated wiire so it is easily cleaned in the dishwasher.Holds 8 racks ..
Traeger 3 Piece Tool SetHeavy Duty Stainless Steel Construction with Rosewood Handles. 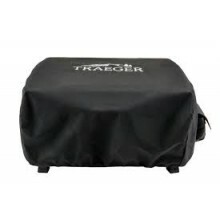 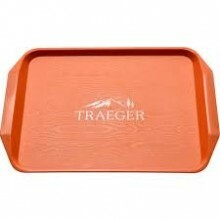 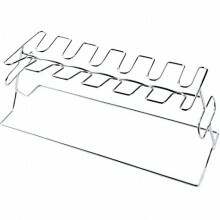 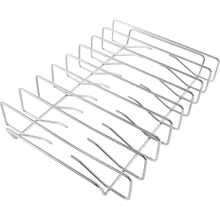 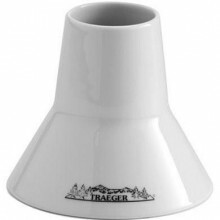 Includes..
Traeger BBQ Food TrayWhether you’re prepping, resting, or serving, the Traeger BBQ Tray will be your..
Traeger BBQ Multi ToolMeet your new grilling essential accessory. 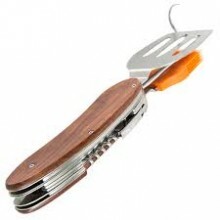 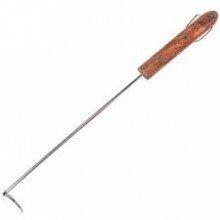 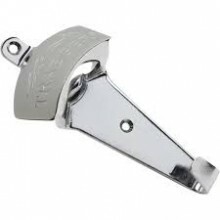 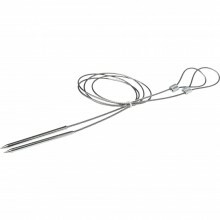 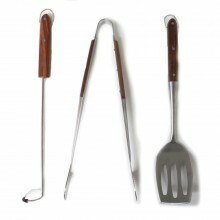 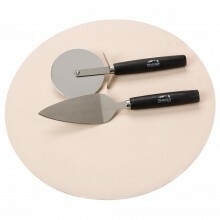 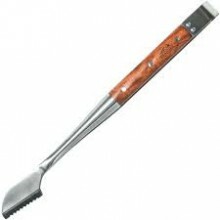 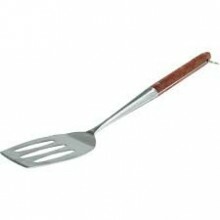 Sauce your chicken, flip burgers, ..
Traeger BBQ Pig TailThe Traeger BBQ Pig Tail allows you to flip, move, and carry everything from por..
Traeger BBQ SpatulaMade of stainless steel for durability, and a featuring a rosewood handle for a t..
Traeger BBQ TongsGet a grip on your grilling with the Traeger BBQ Tongs. 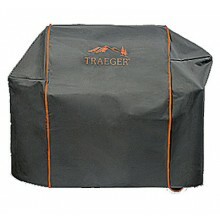 They’re made of durable sta..
Traeger Butcher PaperThe Traeger Butcher Paper is perfect for covering a brisket or lining your BBQ ..
Traeger Cast Iron Cornbread SkilletWith this pre-seasoned cast iron skillet, you can cook any sweet ..
Traeger Cast Iron Fajita PlateTraeger's Cast Iron Fajita Plate is pre-seasoned and comes equipped wi..
Traeger Cast Iron Sauce Pan Traeger’s Cast Iron Sauce Pan is the perfect accessory for making s..
Traeger Chrome Bottle OpenerBBQ and beer go hand in hand, so this handy bottle opener and utility ho..
Traeger Internal Temperature Guide MagnetKeep this quick reference guide at your side while you Trae..